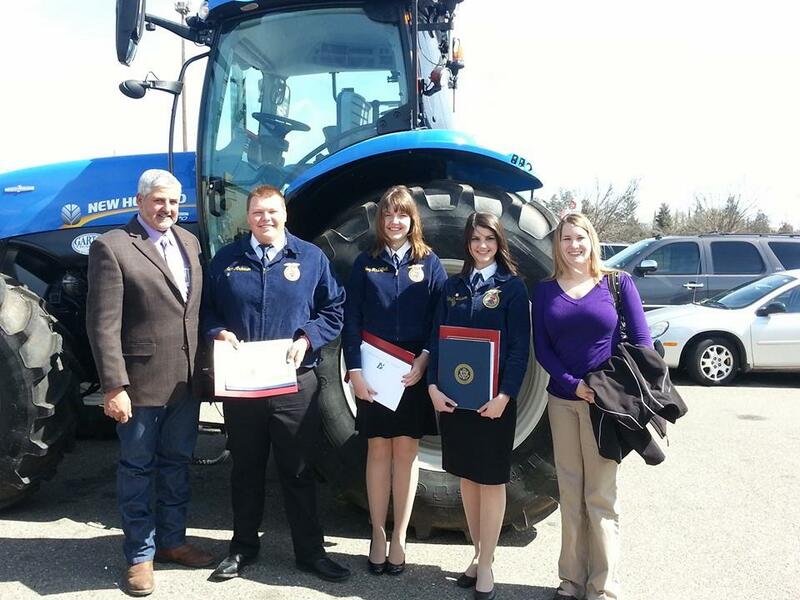 On Monday, March 10, 2014, three Denair High School students and their advisors were invited to attend the Turlock Chamber of Commerce 14th Annual Ag Scholarship luncheon. The purpose of the luncheon was to acknowledge the achievements and efforts of local high school senior agriculture students. From Denair High School, Katelynn Lawson received a $1500.00 scholarship. She plans to attend CSU Stanislaus or CSU Fresno. Sean Andersen received a $750 scholarship. He plans on attending CSU Fresno, where his father and sister also attended. He plans on majoring in Crop Science and getting his PCA license. Holley McDiffett received a $750 scholarship. Parents of the three Denair students were able to attend the luncheon. The students thanked the community, the chamber, and family for their support. Posted in News and tagged agriculture, Denair High School, scholarship, Turlock Chamber of Commerce.